Welcome to another school year! 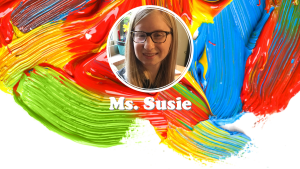 My name is Susie Sipos and I am excited to begin my teaching career at St. Christopher Center for Children. I graduated this past May 2018 from the University of Dayton with my education degree in Early Childhood. I have had previous student teaching experiences in two other preschools and also in first grade. In my free time I enjoy cooking, playing with my dog Maverick, and boating with my family. I love my job and believe so strongly in the power of education. My goal is to help all children reach their fullest potential. I am looking forward to a great year!